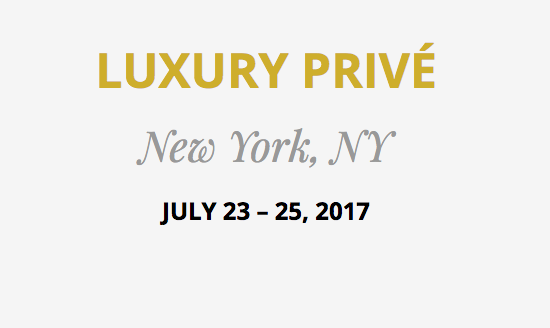 LUXURY Privé is an elite industry event in a truly upscale environment guaranteeing an exclusive jewelry event unlike any other in New York. Discover the latest collections from the best of the best in jewelry design and manufacturing in an intimate business environment paired with curated networking opportunities on the salon floor. LUXURY Privé occurs during New York jewelry week alongside key industry events including WJA Awards for Excellence Dinner and the AGS Circle of Distinction Dinner. You can save $100 of your AGS Circle of Distinction dinner ticket with your LUXURY Privé registration. Produced by JCK Events, LUXURY Privé is a trade event and for jewelry industry professionals ONLY.